LOLOL. Hanae and Ono’s reaction to Asseylum’s final scene was hilarious!!! “Well, let's return to zero, shall we?” I really can't wait for next week's radio now! In other radio news: the AU this time was a world of ninjas (Trillram appears to have overtaken Slaine as the most popular character on the radio), Ousaka Ryōta's Vers name is Ousaka In (written in katakana), and the 4th volume of the Tsutaya rental-only specials, with Ono Kenshō [Slaine] and Hirakawa Daisuke [Harklight], will be available from April 1. 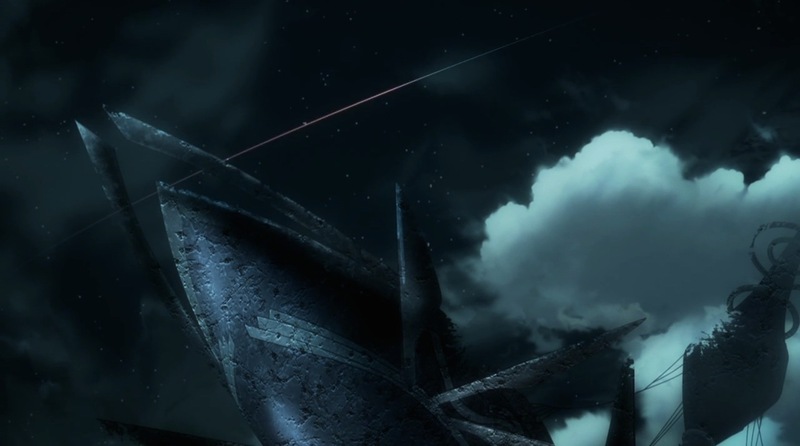 And most of the Vers Knights really did stop the all out assault after all -- I really didn't think that most of them would just abandon Slaine, though given the huge discrimination against Terrans that still permeates Vers society, it really does make sense in the end. The UFE also stopped, except when they were attacked. I honestly didn't think that so many people in the A/Z universe were realists. That said, after two years of war, perhaps most of the people on Earth just wanted it to be over? As for the Vers knights, looks like quite a few of those on Earth were really just in it for themselves: some continue to hold on to the lands they have conquered…well, that’s consistent characterisation for you. The power of the Tharsis is confirmed to be ‘seeing the future’. How much of the future could it see? I don’t think we’ll ever know: perhaps it showed all possibilities, which is why it couldn’t read whether the trap that he set in episode 15 would work. Hm... “I failed to see what was truly important.” Which was…? The people around you? That true peace requires people to reach out to understand each other? The feelings of those around Slaine: Lemrina’s pleas echoing after that lonely back; Harklight disobeying Slaine’s order for the first time ever, so as not to leave him alone; he inspires the Stygis platoon and Barouhcruz to follow him. Must admit, I’m still not sure why Barouhcruz did that…but perhaps that suggests that he finally did gain some respect for Slaine and how, despite being a Terran, he’d managed to overcome so many odds to rise up to that station? 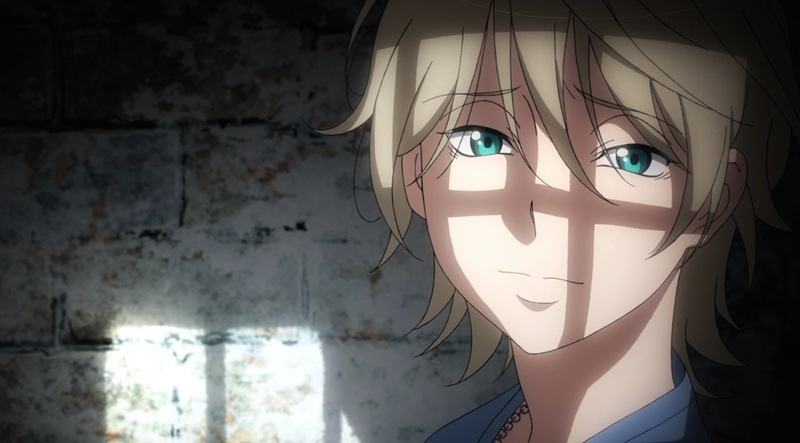 On the radio, they mention that there was always some expectation that Harklight might eventually betray Slaine, so it was really touching to know that his struggles had reached the hearts of at least some of the people who’d been watching him. And the long-awaited battle! Yeah, that was cool. So the elements that Calm didn’t think would be needed were swords! (NB: I got a bit of a AoT feeling when Inaho just pulled out another set!) 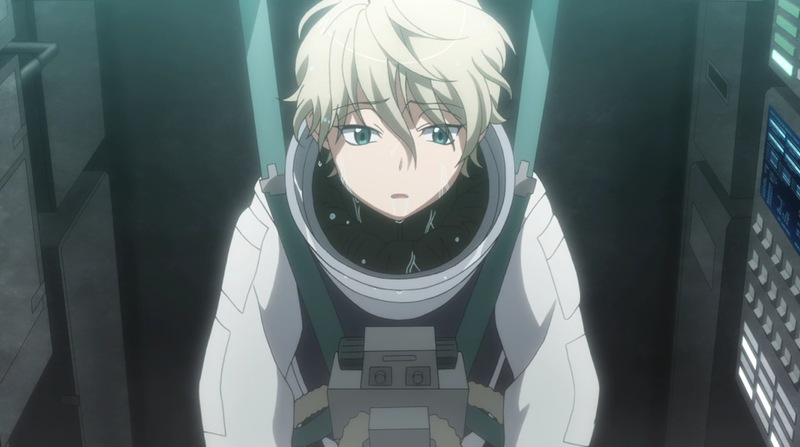 I wasn’t quite sure what to think of Slaine deciding that he’d go out and fight Inaho again, but Soram and Inorittuo have a few interesting comments to make about it: about how Inaho is someone that he can take all his frustration out on. That now, having given up even his attempts for peace, he can just go out and fight: it’s one last time for him to actually ‘live’. I also really loved how, once he was defeated, he cut the wire from Inaho’s Sleipnir so that he wouldn’t drag him down with him. 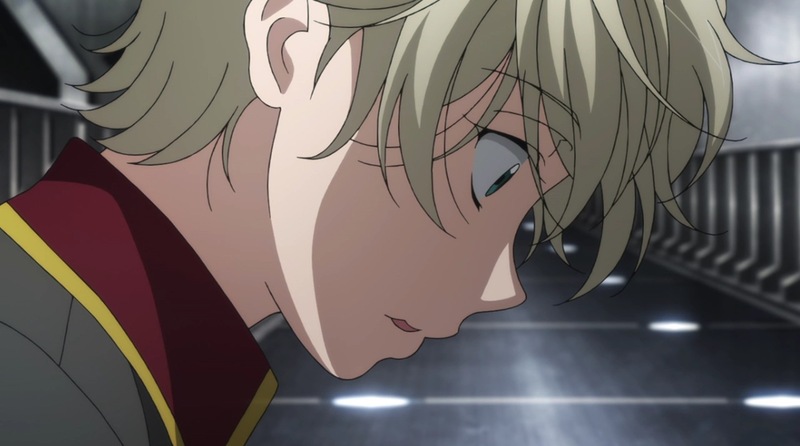 And of course, Slaine tapping his forehead to tell Inaho to kill him: he really is Saaz’s son, huh? 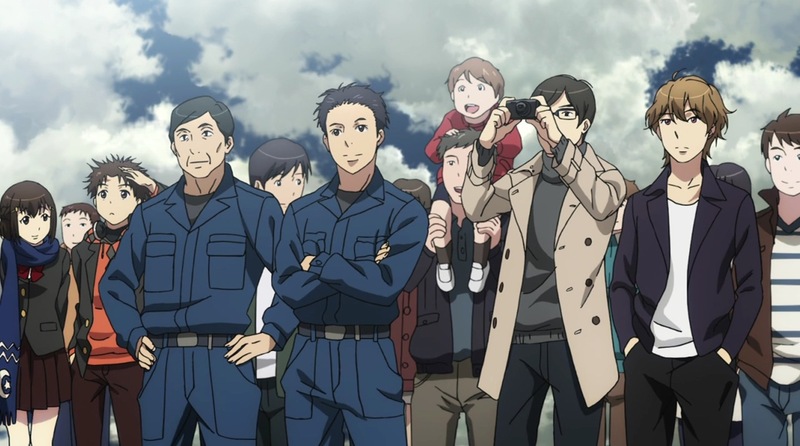 And it was 「aズ-17歩」 again in the scene of ‘the first steps of peace between Earth and Vers’! So, did Inaho pull the trigger? Of course not…even though Slaine Troyard is recorded as having been killed, we see Inaho visiting Slaine in the prison in which he is held. 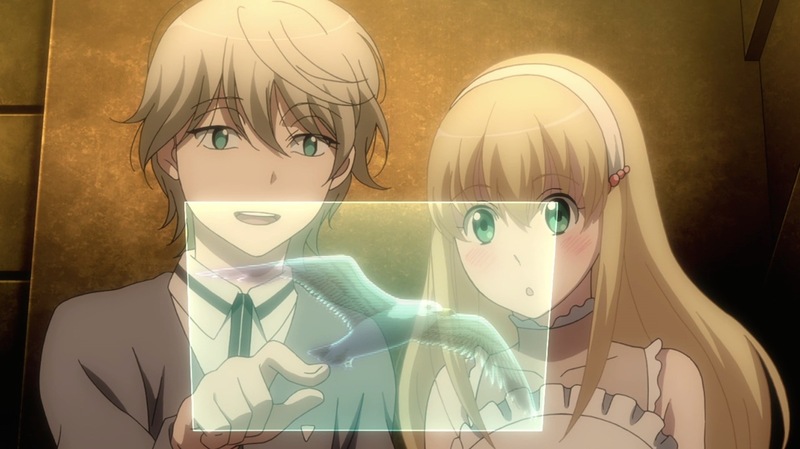 And he confirms that saving Slaine was Asseylum’s request (ep.22). Not surprised…though I also agree with some of the people on my twitter TL who were like “Surely you wouldn’t ask such a seemingly impossible task of someone who’s just collapsed in front of you!” But on the other hand, it shows just how much Asseylum trusts and believes in Inaho. And there was never really any doubt that he would repay it. As he told Yuki in the previous episode: "Something's come up that I have to do." …Inaho really hasn’t changed… Instead of confirming to Slaine that he lost his eye because of their confrontation two years before, he just says that he’d had an analytical engine installed… (cf. The scene in episode 10, where he tells Asseylum that he didn’t do anything out of the ordinary because he didn’t want her to feel that she owed him anything.) NB: he’s also still part of the military, as is Yuki. Slaine Slaine Slaine…yes, living when those who supported you to the end have died is hard. That’s why you snapped at Inaho when he visited you, right? You wanted him to kill you to recompense for what you’d done to so many people. But what Asseylum wants is for you to rediscover the joy of living… Perhaps that’s rather cruel, considering that you’ll probably be confined in that prison for years (perhaps forever? ), but as long as you’re alive, you can connect with people again. Lemrina and Asseylum still care for you, so you might one day be able to meet them again, no? Has Asseylum’s love for and faith in you finally put some life back into your eyes? His eyes! There's finally a pupil drawn in them again! edit: Actually, take that back! As someone pointed out on twitter, it came back once previously, just momentarily, when Saaz named him as his heir! That's how much Saaz's decision meant for you? 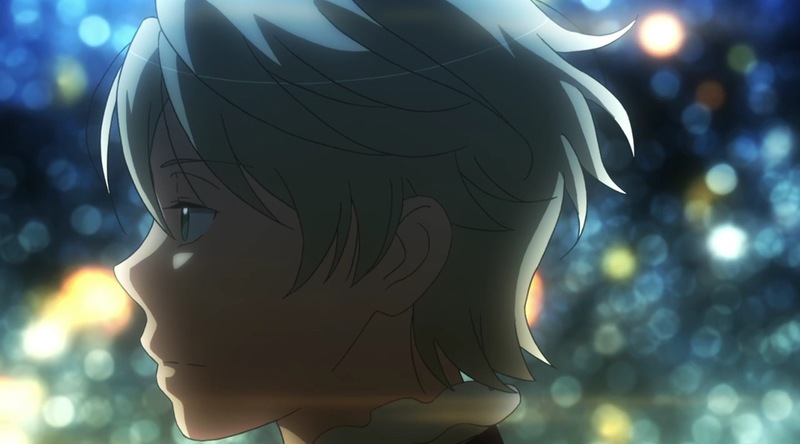 To finish off, I’m a bit sad that Inaho in particular hasn’t met Asseylum again. Well, I’m sad that she hasn’t come to see Slaine either…but that’s probably not possible. 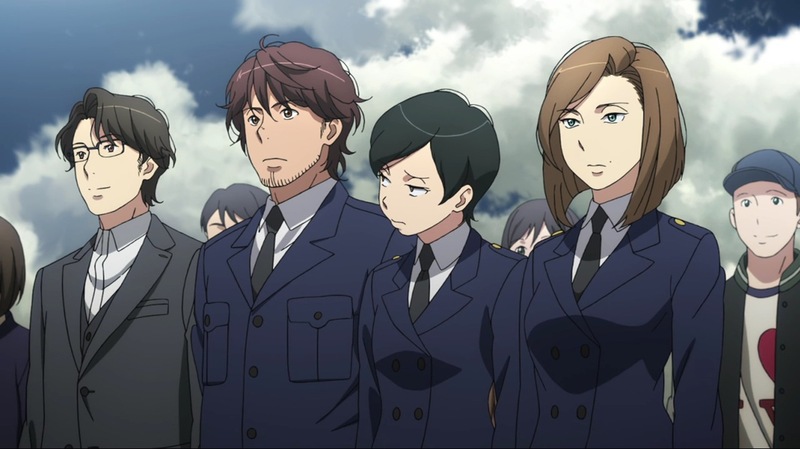 Ah, and would also have liked to have seen Mazuurek and Inaho catch up, and thank each other as well. Something for the fans to come up with, I guess? I'll probably be covering more A/Z stuff as the rest of the BDs are released, but I will work to get a proper series reflections post up sooner rather than later. p.s. I may still be debating whether I want to buy the entire series or not (it's a question of whether I can afford it, especially since it doesn't have my favourite extras: commentaries! )...but the second guidebook is definitely a must. Bottom left — it's Haruya and Mizuki, the twins from TWIN GEMINI!